Some new pictures from our friend The Synth Witch, this time featuring Otto sitting atop a Moog Sub 37. He certainly is a handsome fellow, and clearly knows it. 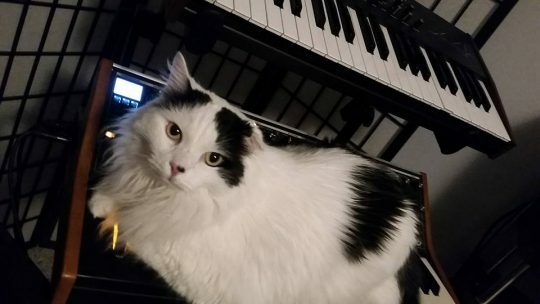 If you have a cat-and-music-gear picture you would like us to share, you can submit it via our Facebook page, tag #catsynth on Instagram, or tweet us @catsynth. 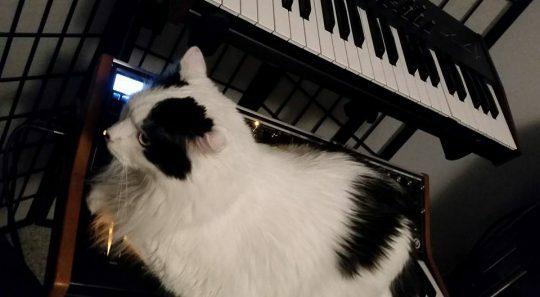 Posted on May 15, 2018 by catsynth	This entry was posted in Cats, Synthesizers and tagged cat, moog, Synthesizers, the synth witch. Bookmark the permalink. Otto is handsome, indeed! We like how he matches the keyboard!